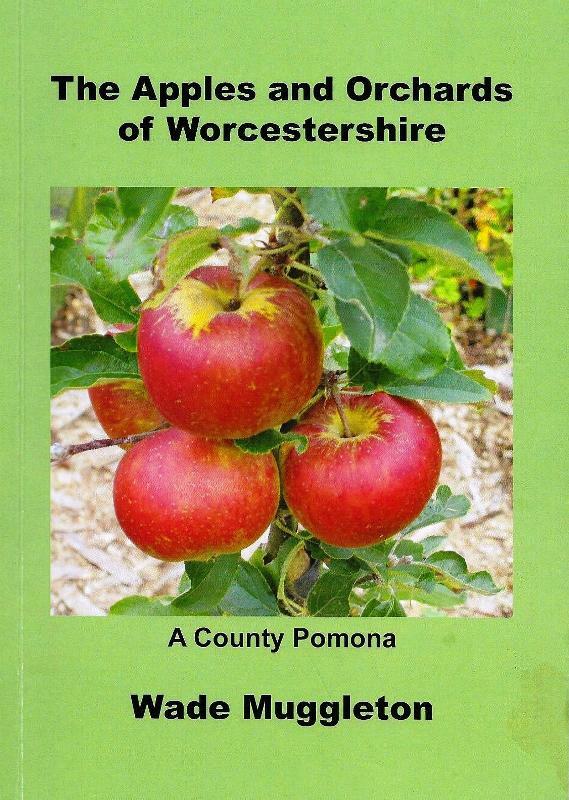 We have supported Wade Muggleton of the Worcestershire Orchards Network to publish the first two volumes of the Worcestershire Pomona. Worcestershire is famous for its fruit and our orchards produce apples, pears, and stone fruits like cherries, plums and damsons. 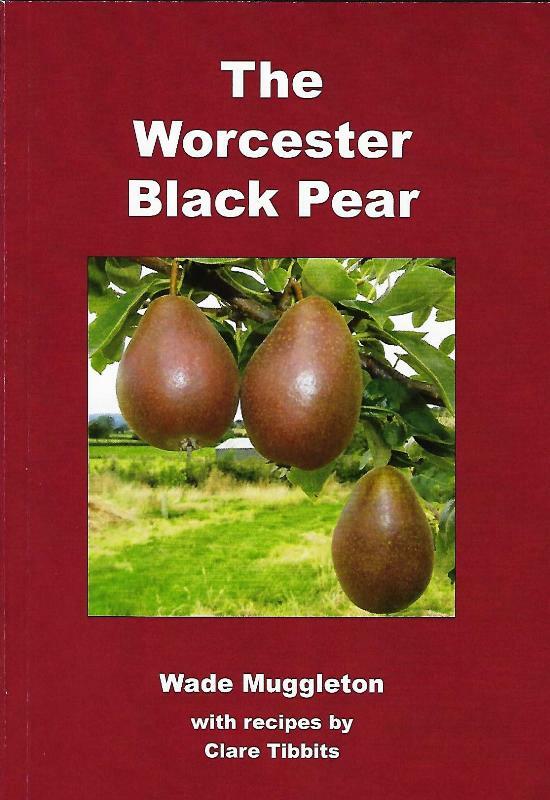 Wade has written one book on Worcestershire’s apples and another about the varieties of the county’s famous Black Pear. Thanks to Worcestershire’s long history of orchards and fruit growing, a large number of apple varieties originated in the county. To date, however, no naturalist has recorded all of the varieties in one place. Wade has therefore attempted to put that right by writing the first volumes of the Worcestershire Pomona. He has also collected and included stories from old orchard-men which add context and warmth to the text. All proceeds from the sale of the book go to The Marcher Apple Network. You can buy a copy from their online shop. It is not clear precisely when the apple known as Scotch Bridget apple was discovered and named. Robert Hogg described it in British Pomology in 1851 and according to most references, it originated from the Scottish borders. It was extensively grown in Worcestershire in the 1900s, and Teme Valley locals told a different story about its origins. Locals believed the apple grew from a seedling planted in the Swan Hotel in Tenbury Wells in the 19th century. They said it was named after Bridget, a Scottish barmaid who worked there at the time. 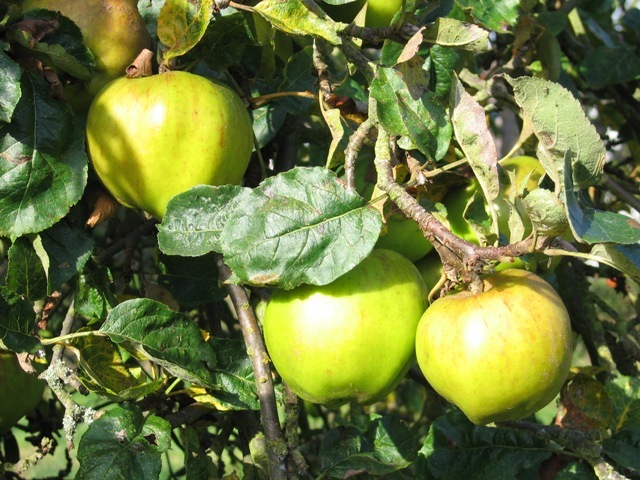 David Spilsbury, fruit-grower of Eastham, told Wade that his father always believed it to be a Teme Valley apple. He said his dad was truly surprised to find it growing in orchards near Blackpool in the 1950s! We can’t know the truth but it’s appealing to think Tenbury folk named an apple after a Scottish girl, miles from home. It is hard to escape the Worcester Black Pear if you live and work in the county because it appears everywhere from the county coat of arms to the Cricket Club badge. It was an obvious choice of subject for the first volumes of the Worcestershire Pomona. In his book, Wade documents the history, propagation and use of the Black Pear and includes a range of tasty recipes from Clare Tibbits. All proceeds from the sale of this book go to The Vale Landscape Heritage Trust. You can buy a copy of this book from The Marcher Orchard Network’s online shop. 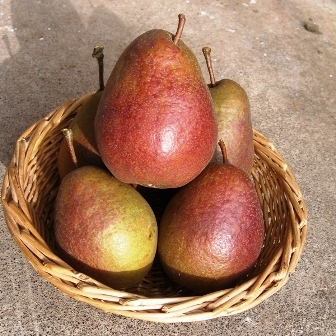 Worcester Black Pears are a variety of warden pear, a fruit which dates back to the 13th Century. Wardens were a useful baking pear and, for centuries, were a favourite in pies and pastries. Early cookbooks describe how warden pears in syrup were served in with game, sturgeon and other high quality savoury dishes. Peel the pears and place in an oven proof dish. Then mix the red wine with the brown sugar and spices and pour over the pears. Bake in the oven at 180 C / 350 F / Gas Mark 4 until tender (this can be up to 2 hours in the case of black pears).